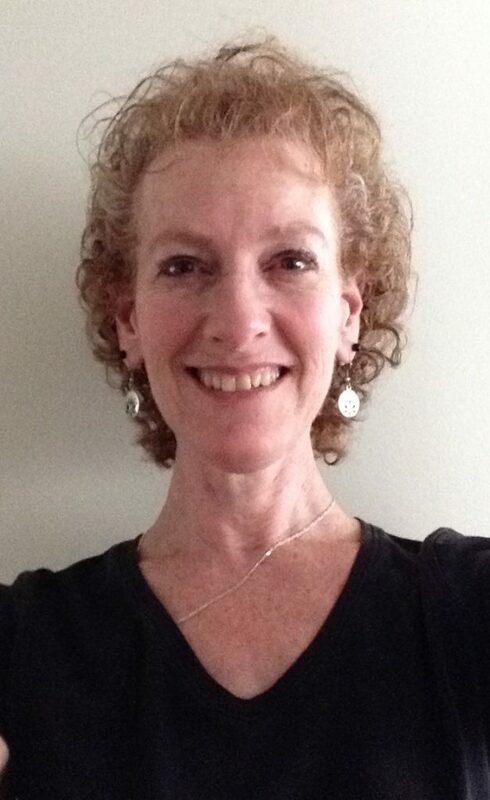 Meet Water Workout Instructor, Jodi Quinn! 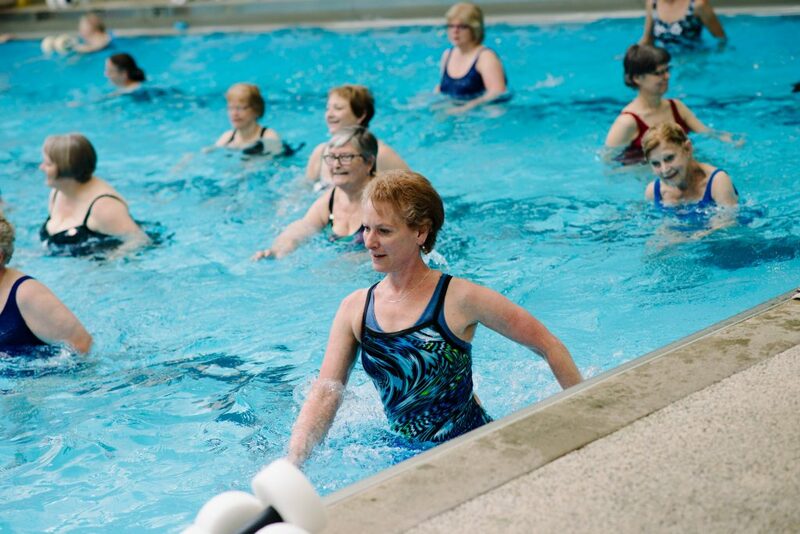 Jodi Quinn (center) leads a water workout class. Today, we continue our National Water Safety Month series introducing a few of the members of our aquatics staff. Longtime water workout instructor Jodi Quinn talked with us about the benefits of working out in the water and how you can get the best results from this type of workout. How long have you been teaching water workout? What specific classes do you teach? I have been teaching water workout since June 1987! 31 years! I teach shallow water aerobics and also water walking. Can you tell me a little about your teaching and swimming background? I have a BFA in Dance and performed, choreographed and taught dance with Dance Theatre Dayton and later taught and rehearsed dance students at the Oakwood Community Center. I am certified in Group Fitness by Idea/ACE (American Council on Exercise). How did you become interested in teaching fitness classes that take place in the water vs. on land? I started out by taking a shallow water aerobics class at the Kettering Recreation Complex because a friend wanted to try it. She quit; I stayed. When the instructor decided not to teach anymore, the class participants urged me to apply for the job, so I did. I have been here ever since. What are some of the benefits of working out in water? There are many benefits of working out in water. Some of them are more obvious than others. Gravity is less than on land due to the water’s buoyancy, which eases some wear and tear on the joints and spine. It is an efficient workout in that two opposing muscle groups are working while executing one exercise, all while the water is providing resistance in multiple directions. The water helps to keep the body cooler more easily than working out on land. Water helps dissipate heat more effectively than air, allowing for better blood flow to the heart. The body constricts the blood vessels in the limbs increasing flow to the heart and increasing the amount of blood output with each heartbeat. Heart rate will be lower in water while maintaining the same aerobic benefits. Is there anything that surprises people about doing a water workout? People have been surprised that they are actually working hard when it looks so easy. People have told me that they can work out at whatever level they need to on any given day. They find it easy to adjust their workout according to the body’s aches or fatigue that day, but still get a good workout. Some have said the water element is almost Zen-like in that they feel calmer than they do while working out on land. Many people love the fact that the water allows them to move and stretch more easily and freely than on land. Any advice you’d give to someone considering adding water workout to their fitness routine? I would advise anyone considering adding water workout to their fitness routine to go for it! It is a suitable workout for all ages, body types or physical limitations. Bring a water bottle to stay hydrated, wear water shoes to protect your feet and provide support and traction, purchase a bathing suit that is mostly polyester because that material keeps a more consistent shape and color than nylon/spandex. Be open-minded and patient with yourself. It may take a time or two to get used to keeping your balance in the water. Your core (abdominals and back muscles) is constantly working to help you adjust and be strong – another bonus! Have fun! *Please consult your doctor before starting any fitness routine.